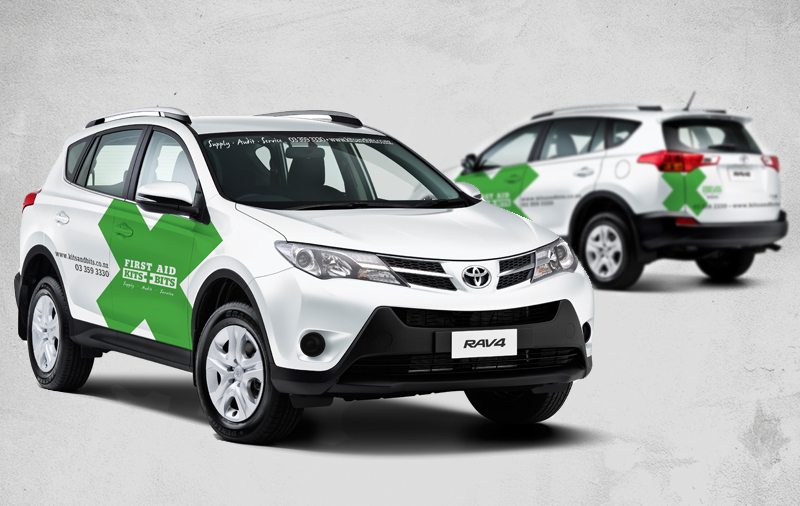 A logo developed for Kits + Bits, an on-site first aid supplier, vehicle signage for Kits + Bits. Had to be striking as she was on-site everyday various items created for her arsenal. 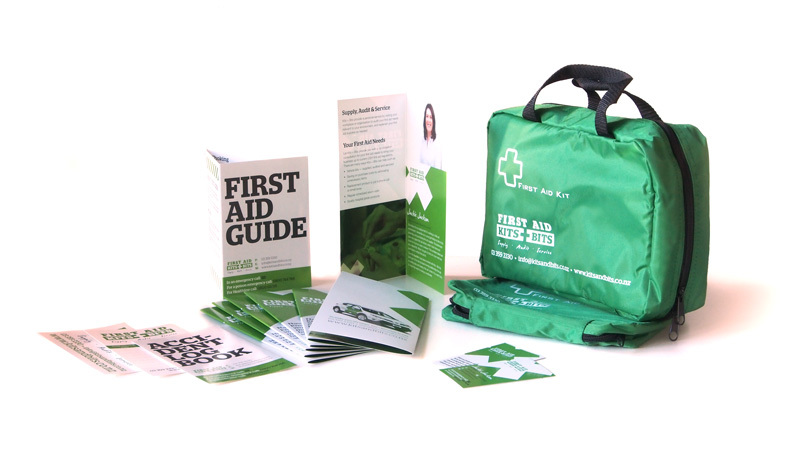 Stickers, accident register books, informational brochures, guides, business cards and a portable branded first-aid kit.